A beautiful letter from one of our patients. 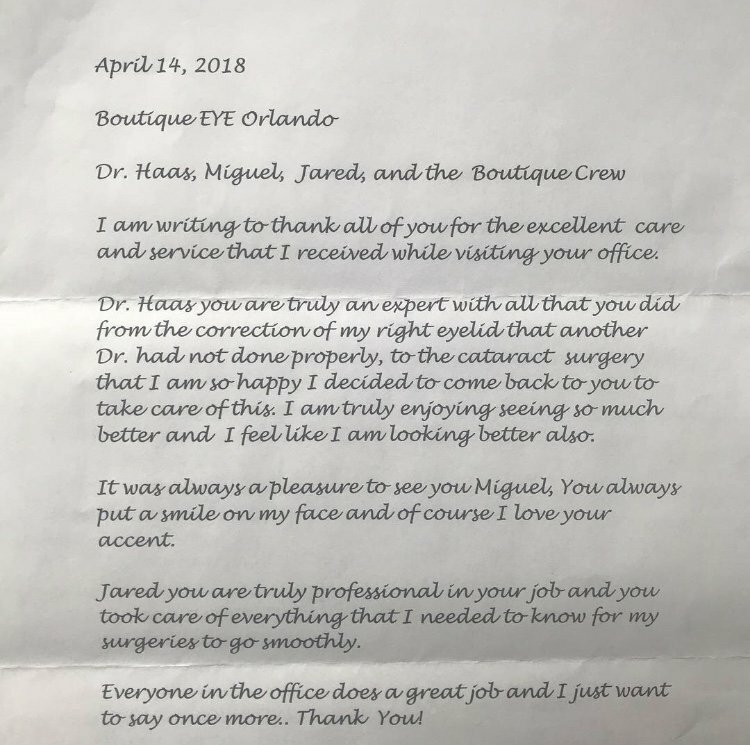 It is always a pleasure to receive letters from our patients. We strive to make our patients feel welcomed from the moment they enter our office to the moment they leave. We go above and beyond for our patients care. See Better. Look Better. Live Better.